You can turn your home into a fun and favorite place to read. Here are some things I’m pretty sure you can connect with. Get fresh ideas and get reminded of things you probably have already done. Enjoy! 1. 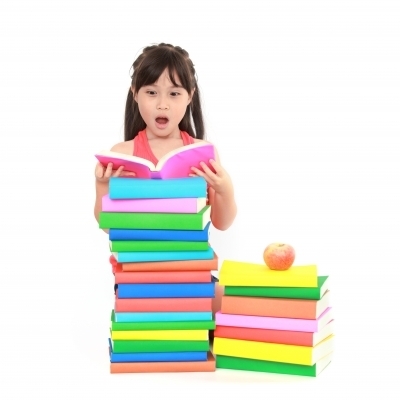 Make reading fun both for you and your kids. If you get your kids to enjoy reading, they will keep on doing it. Let’s take this even further – if you get your kids to love books, you would keep them reading. Skill is just secondary; make the activity an adventure, fun and pleasurable. Once they enjoy doing it, they will eventually develop the skills – without the fuss. 2. Let them catch you read. Don’t make this common mistake among parents – to read only when kids are neatly tucked in bed. How will they ever know you even read at all? Get caught. Discuss a part of any reading with them or with your spouse. Talk about books while they are listening around. They will read by your example. 3. Read aloud. Imagine sitting your child on your lap while reading his or her favorite story aloud. Your child will associate reading with intimacy. A lot of times, it is not really what you read to him, but the precious opportunity this kind of activity provides – it just draws both of you towards each other. Even an infant will coo when you do that. 4. Schedule trips to the bookstore or the local library . You can’t have all the books at home but you can treat your kids to a feast of ideas. I always bring my kids to a local book sale and they love it. They sit quietly on the floor with their chosen reads. I pair that with the privilege to choose their own books at a small budget, and boy, are they always more than excited about that. Sometimes you can also bring them to a local library for a sumptuous read. 5. Catch your kids read and affirm them every time. You have been hoping and trying hard for them to do it – celebrate with them when they do. Appreciate them when they open a book, or join the conversation with them when they talk about anything they have read. Any more ideas you can add to my list? I will post some more next time but I’m pretty sure you have your own brilliant tips. Meanwhile, take time to try these five tips to get your kids to read and tell me what happens. Be sure to connect with me on my Facebook Page and let us altogether learn.